Before I dive into this review of the Blue Force Gear Tracer Pack, I should give some context for my time with Blue Force Gear Dap Packs. I have been using their packs going all the way back before 2012 in their original line of Dapper compatible packs. I still have and use a Micro Dap Pack and Skye Dap Pack. In the intervening years, Blue Force Gear discontinued their packs with the larger models being the first to go. They continued making their hook backed pouches in the Dapper line until the recent reintroduction of the Dap pack line to include the redesigned Jedburgh and finally, a new large Dap Pack, the all new Tracer. 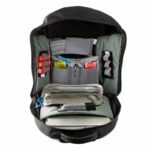 The full panel loading Tracer Pack was designed to be an EDC/Travel/Office pack with a heavy dose of tactical stirred into the mix. The exterior appearance is fairly “low profile” though it does have a loop field and MOLLE compatible panel. The straps are straight and thin but well padded. The rear of the pack is stiffened with a thin HDPE frame sheet so the pack holds its shape under a load and items don’t dig into your back. It weighs in at 2.5 pounds and has 36 liters of capacity. 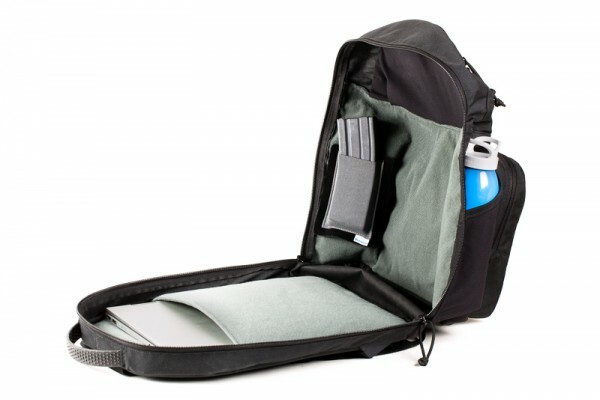 That capacity is spread over the large main compartment with laptop sleeve, a front admin pouch, and a top stash pouch. 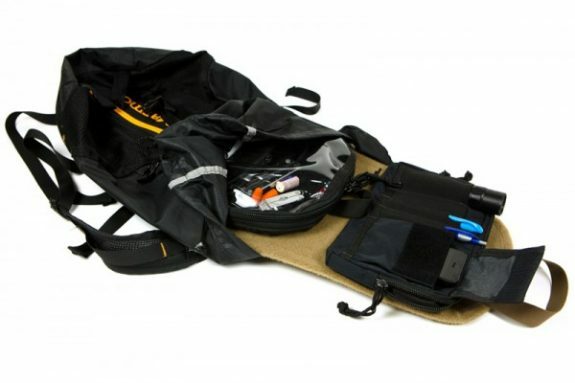 The Tracer Pack also feature distinctive and easy to grasp rubber zipper pulls. 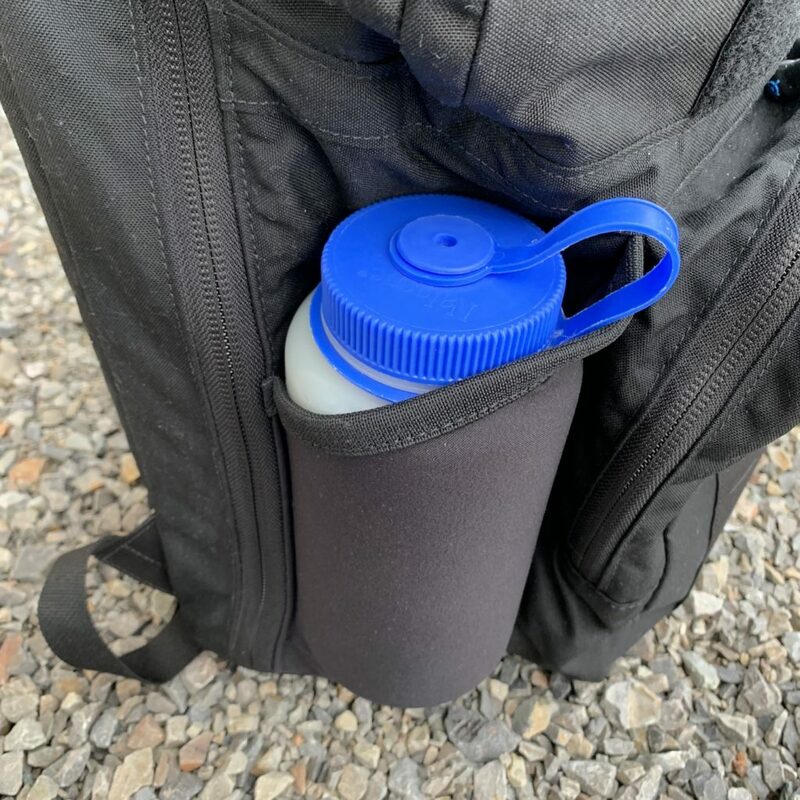 A very comfortable and grippy grab handle that is textured rubber over webbing so it is bull strong and two tweave water bottle pockets. The interior back of the main compartment is completely lined for use with Dappers. The interior front of the main compartment is mostly lined as is the back of the front admin pouch. The Tracer Pack has been serving as my travel and EDC pack for almost 3 months now. That includes 2 full cross-country trips via air. It still looks mostly new which is not a surprise given how BFG builds these packs. The quality is excellent with great materials and attention to detail. There is a lot to like in this pack. I especially like BFG’s use of tweave material. The water bottle pockets are excellent. They are deep and tightly retain bottles up to 32 ounce Nalgene diameter. They thoughtfully tapered the opening so it is lower on one side which makes bottles easy to retrieve. 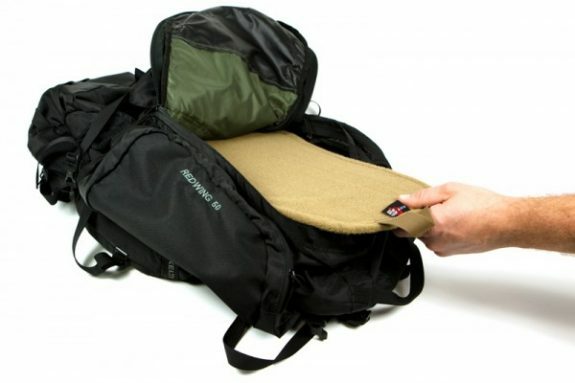 BFG also backed the upper stash pocket with tweave which allows it to stretch a bit when stuffing with oversized items. I also like the use of BFG’s MOLLEminus to reduce the visual signature of the MOLLE field on the front of the pack. Most people wouldn’t know that they were looking at which helps the pack blend in a bit. The fact that this is a panel loader makes great sense. 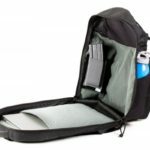 It gives the user the ability to fully line the main compartment with Dapper pouches and then lay the bag fully open to access each pouch. I tend to like packs without a ton of built in organization so Dap Packs suit me. I can add the organization features that I want, where I want them. Perhaps the best thing about this pack is the Dap Pack concept itself. If you like a big, wide open bucket of a backpack, you can do that. If you are more of an everything in its place kind of guy, you can do that. The organization features are completely flexible. 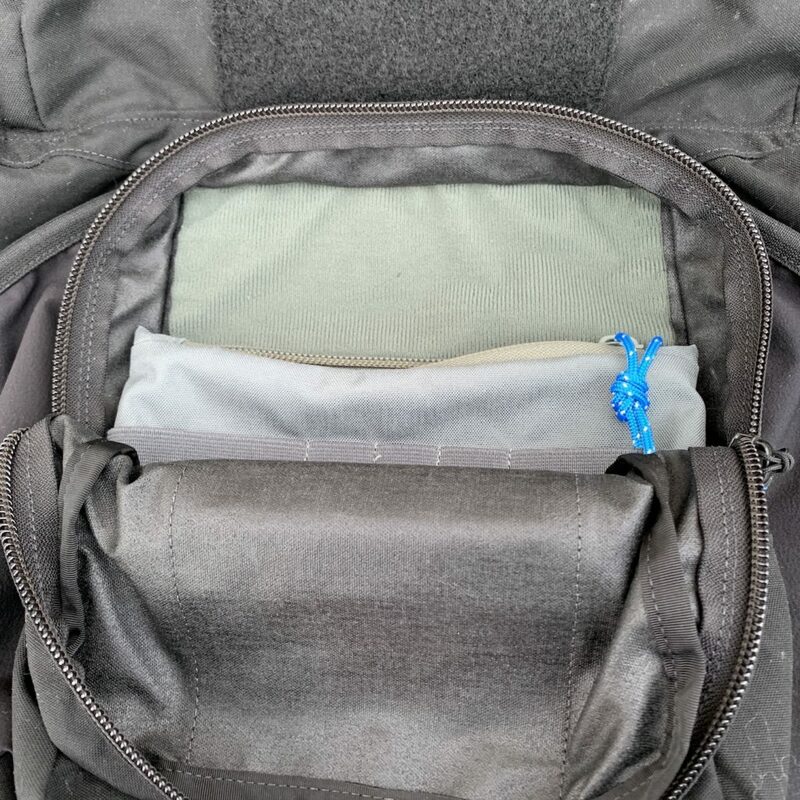 I should also note that the admin pocket is a perfect fit for BFG’s really excellent Admin Dapper of which I have several because they always seem to find a place in my hook and loop style backpacks. I don’t normally rave about grab handles but I will in this case. 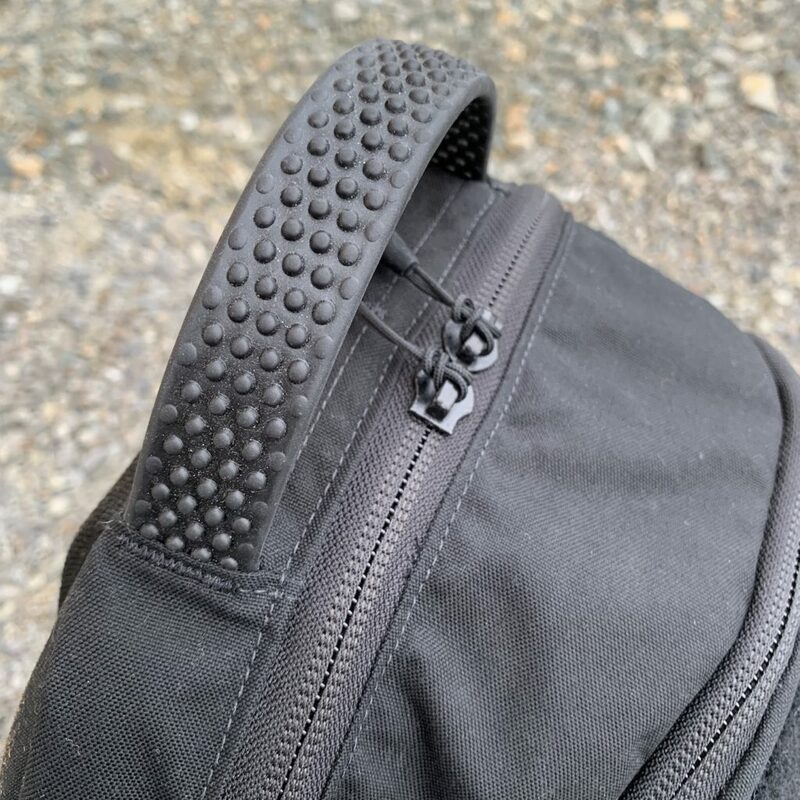 The Tracer Pack’s grab handle is a thick rubber coated webbing with large bumps for texture. It is comfortable to carry even when the back is heavy. It doesn’t roll in your hand like tubular webbing or cut into your hand like flat webbing. This pack has a very good laptop sleeve. It is easy to access and well stiffened which is nice because my laptop is often the heaviest thing in the bag and the stiffened back panel helps support that load. There are a few things I wish were different. The shoulder straps are straight and simple which is not a bad thing in and of itself. They are padded enough to comfortable but they are mounted very close together. it would be nice if they were spaced apart just a bit more. As they are now, they can ride up onto the start of the wearer’s neck and they feel shorter than they actually are. Additionally, I recommend end users remove the little metal BFG logo plaque on the shoulder strap. When you don a pack, you often slide your hands down the shoulder strap as your pull it on your shoulders. That metal plaque has diced up my hand a couple of times. It is easily removed and I only put it back on for pictures. 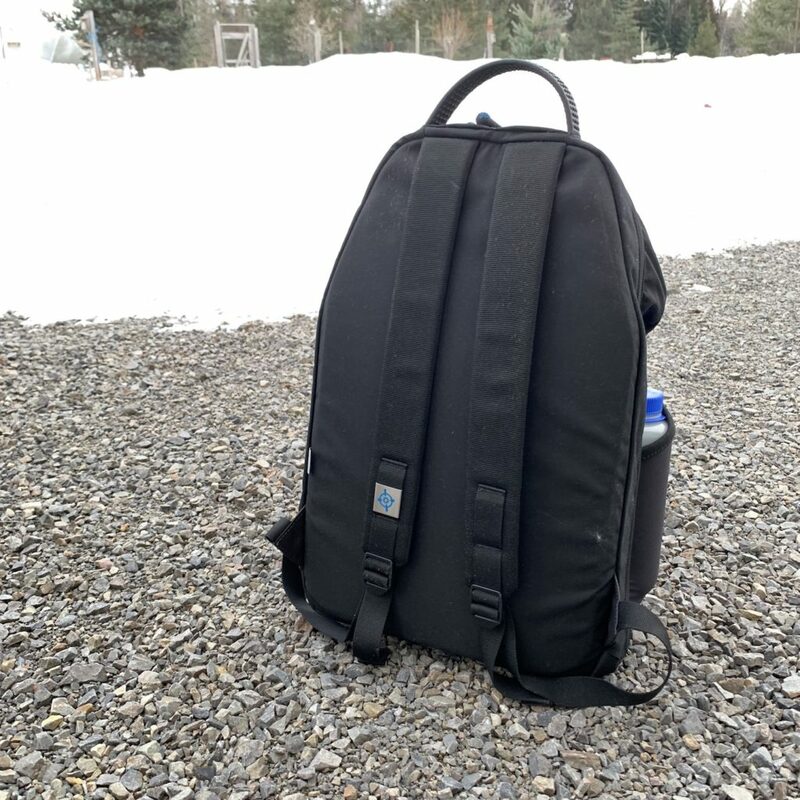 The Tracer Pack leverages Blue Force Gear’s already well proven and flexible Dapper system so it is extremely functional right our of the gate. 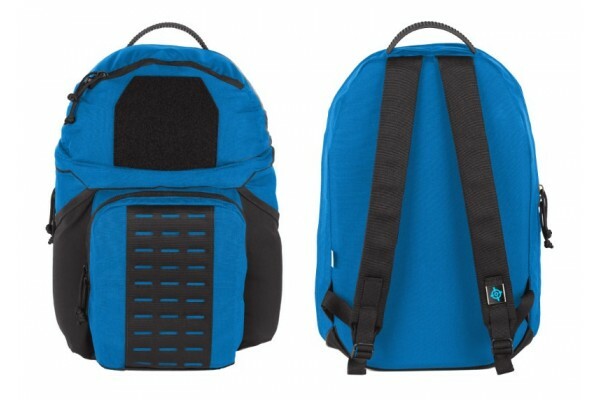 The shoulder straps could be spaced just a bit further apart but the build quality is typical Blue Force Gear which is to say that it is great. The materials used for the pack are smart, unique, and functional. I also happen think it is probably the best looking Dap Pack yet. If you have been awaiting the return of the larger Dap Packs, wait no longer. 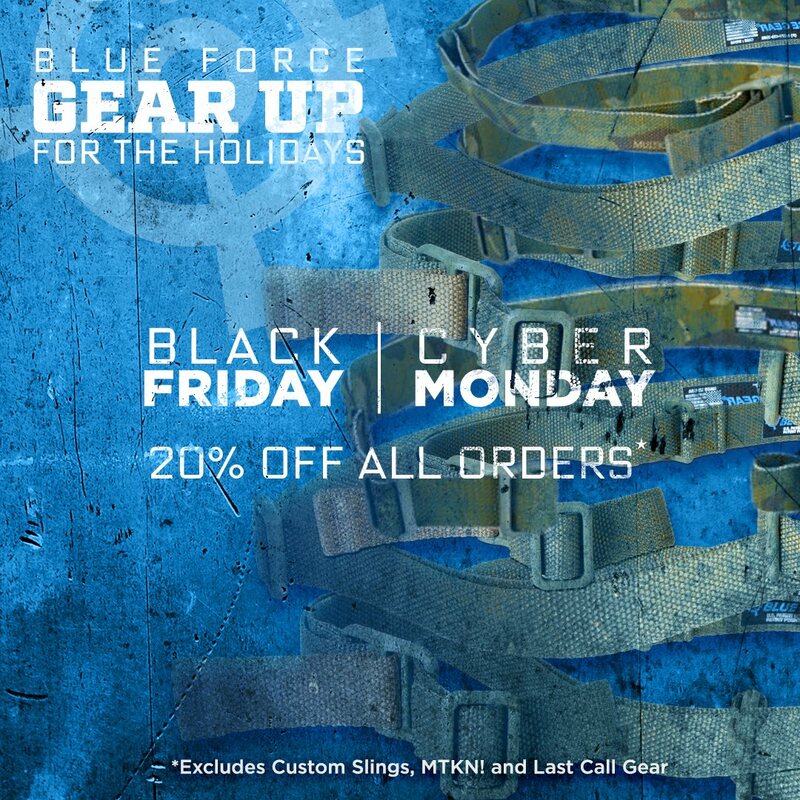 You don’t have to wait until Black Friday to start saving at Blue Force Gear. Use code GREY2018 to save 25% through Wednesday, 11/21. This would be a great time to pick up a new Tracer Pack or get a deal on a Vickers Sling! 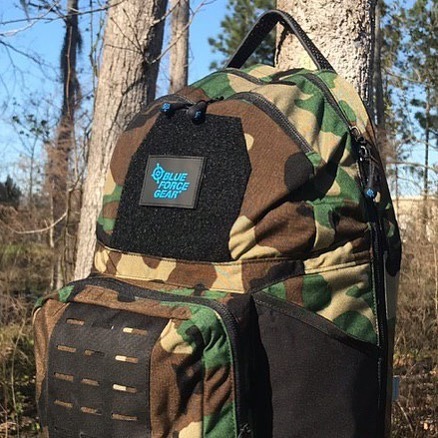 Blue Force Gear has previewed the latest DAP Pack, the Tracer, at various trade shows and now it is available to purchase. This pack is aimed squarely at the EDC market with the features, functions, and military grade durability for which the Dapper compatible DAP packs are known. 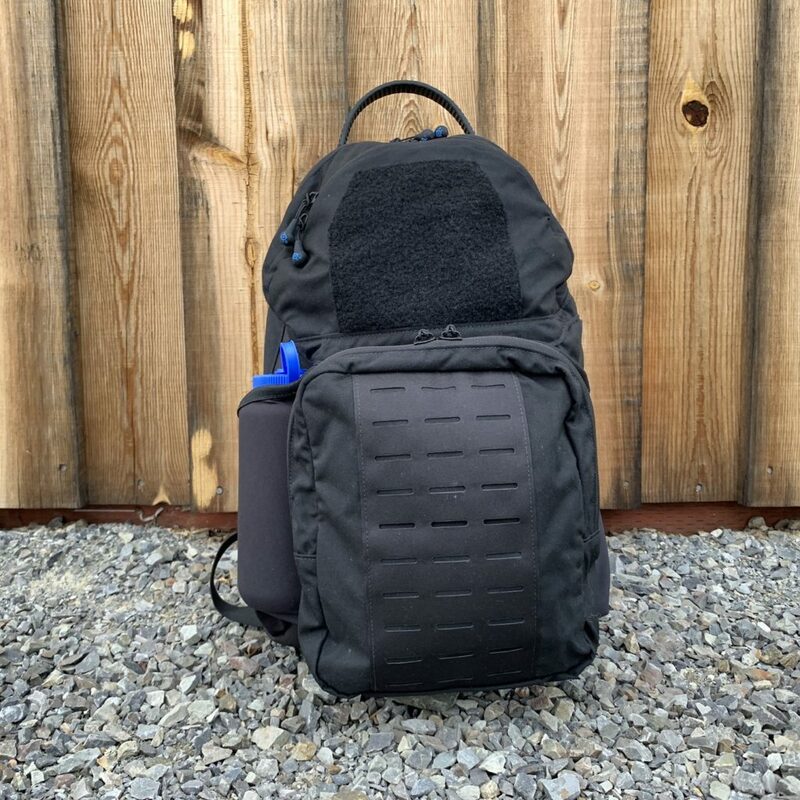 The latest in the DAP Pack line – the Tracer™ Pack is a full featured, Dapper™ compatible EDC (Every Day Carry) pack that is perfectly suited in the car, at the office, in class, or in the back of an MRAP. The Tracer Pack allows you to carry all your essentials with the pack as it is or enhanced with the modular Dapper pouch system. 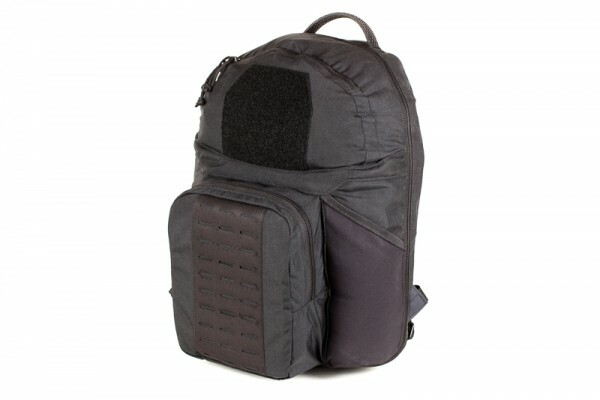 Starting with the outside – the Tracer is slightly bigger than the Jedburgh™ pack. 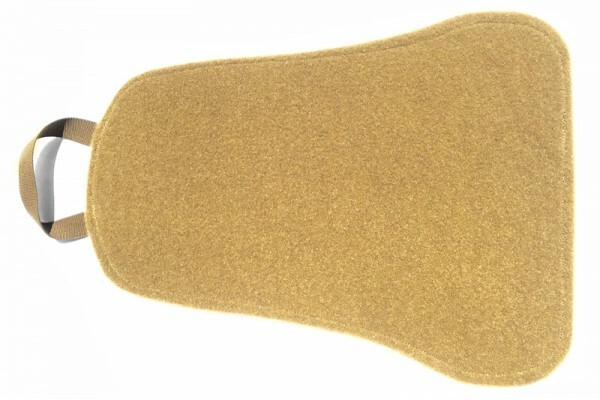 Keeping with the Jedburgh styling – a fully MOLLE compatible panel is on the main front pocket, but unlike traditional MOLLE – the MOLLEminus panel looks like a style element typical in modern packs but can be quickly used for additional MOLLE pouches or a Trauma Kit NOW!™ The inside of the pocket is loop lined and can be used with DAP Loops or other smaller Dappers. 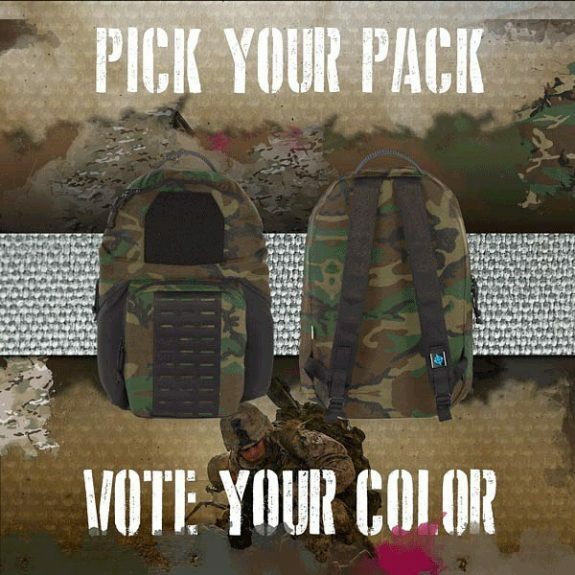 The bottom of the pack features a double layer of ULTRAcomp® – a high-performance laminate that provides superior wear and water resistance over other materials – the same battle-proven material used on armor carriers, magazine pouches, and gear pouches worn by the nation’s finest warriors. The Tracer was built based on feedback from the currently available Jedburgh Pack. It is larger than the Jedburgh with more internal volume. You can see a short video preview below. In case you missed it, @gunsandtactics got an exclusive look at the new #BlueForceGear Tracer Pack, set to launch at the end of Q1 2018. Head to their YouTube page to see all they explored at #SHOTShow2018. 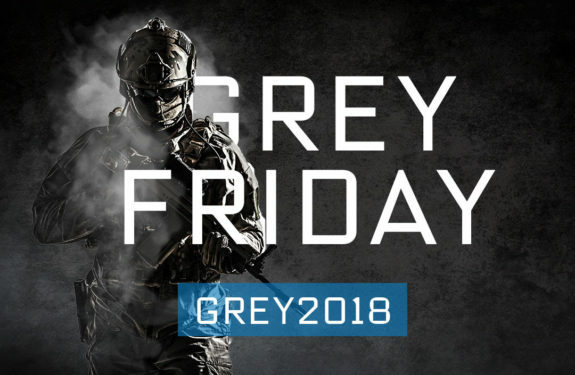 Blue Force Gear is offering free gear for the holidays to help you prepare for 2018. 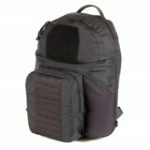 You can view all the free gear deals at BlueForceGear.com. Blue Force Gear is hosting their biggest sale of the year. They are offering 20% all orders for Black Friday through Cyber Monday. It’s time to stock up on slings, Ten-Speed pouches, and Dappers! Blue Force Gear’s Ten Speed Single Pistol Mag Ten Speed pouches are a versatile companion for the Raven Concealment Systems Pocket Shield. 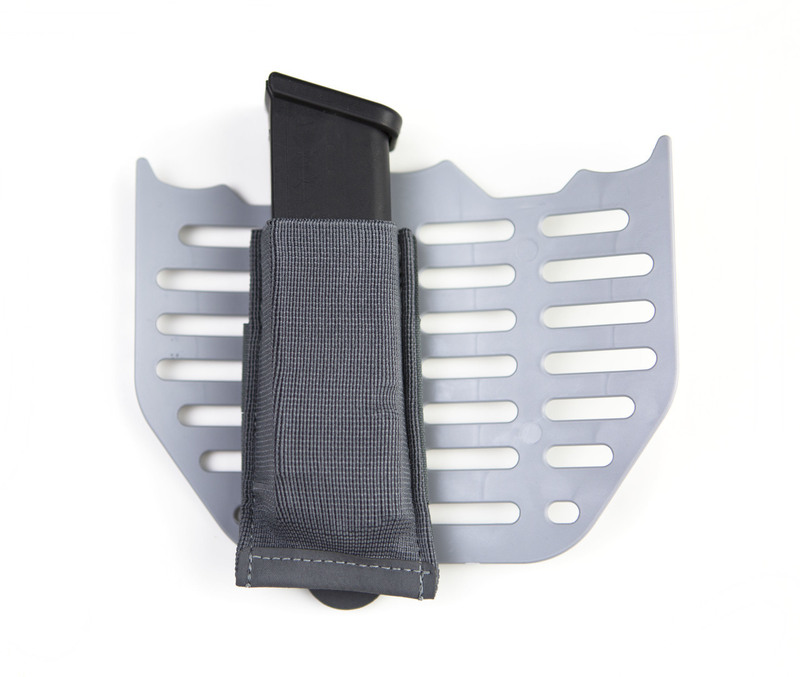 The elastic pouch allows you to carry lights, knives, pistol mags, or other similarly shaped items in a way that is completely concealed and quickly accessible when used with the Pocket Shield. They work so well together, that now you can purchase them in a combo directly from Raven Concealment Systems. Blue Force Gear is clearing out their DAPPER Panels for $10! These loop covered panels are cut specifically for panel loading 3 day style packs but can also be folded to fit a wide variety of packs. These are used by adding the hook backed patches of your choice to the surface of the DAPPER Panel, then it is inserted into your pack. It may be removed quickly and easily via the grab handle. 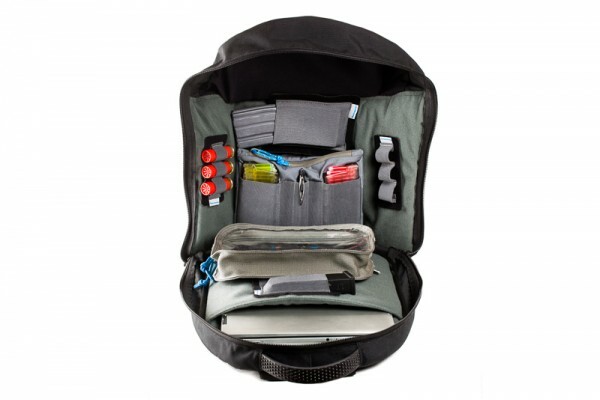 It can easily be configured/reconfigured to carry anything from EDC items, medical gear, magazines, and more. The Dapper Insert Panel measures 13” tall by 8.5” wide at the top tapering out to 17.5” at the bottom. Check out the DAPPER Panel on Blue Force Gear’s Last Call page.